September looks like it’s going to be an expensive month. As well as David Rabbitte’s Victory, Dark Ink are also releasing this very nice print by Steve Anderson. Called “The Scoundrel“, you can see a large part of the Falcon behind Han. At 18″ by 24”, it’s a nice size and for only $40, a great price. It’s being release by Dark Ink as part of their timed release of Star Wars Prints sometime between the 5th and the 15th of September. 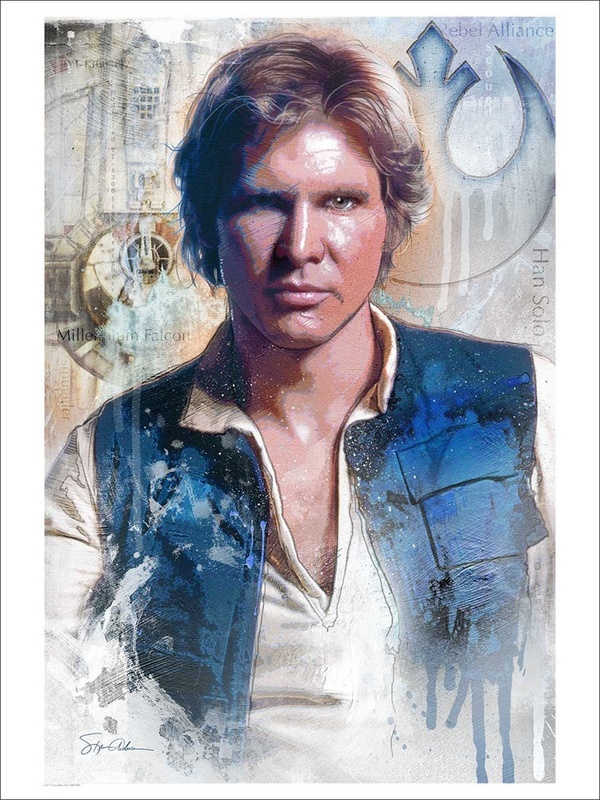 This entry was posted in ACME Archives, Art, Things that i don't have yet... and tagged Art, Han Solo, Millenium Falcon, Millennium Falcon, Star Wars, Steve Anderson. Bookmark the permalink.